Houzz Trade Program provides professionals with deep discounts on 200,000 Houzz Marketplace items and rewards them with shopping credits when a client buys a recommended item. Houzz has launched the Houzz Trade Program, a new feature to the three-year-old Houzz Marketplace that gives industry professionals the opportunity to profit from purchasing and recommending products through discounts and rebates. “This program is the latest tool we’ve developed to benefit our incredible pro community, and continues to make the process of renovation and design more productive, profitable and fun for everyone involved,” said Liza Hausman, vice president of Industry Marketing for Houzz in a press release. The market features bath items, fixtures, furniture, decor products and more. Houzz Trade Program members will receive discounts of up to 50 percent on 200,000 items from the most popular brands on the site, which include Baldwin, Emerson, Feiss, Flos, Kraus, Missoni Home, Safavieh and Swarovski. In addition to access to rock bottom prices, professionals will be able to earn credits from recommendations. When a client buys an item from the collaborative Houzz ideabook, the professional will earn a credit that’s 10 percent of the total retail price to use in the Houzz Marketplace. Hausman says although the primary user base for Houzz Marketplace, ideabook and Sketch are professional stagers and interior designers, real estate agents have something to gain from this program as well. Professionals will be able to keep up with their rebates and recommendations on a personalized dashboard. 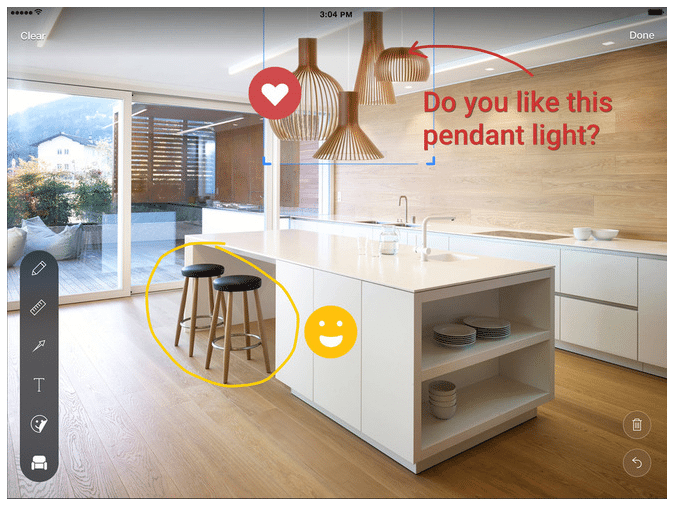 They’ll also be able to integrate their work on ideabooks and Sketch, a tool that enables users to drag and drop items from the Houzz Marketplace onto a photo so they, and their clients, can envision what the design plans will look like in real life. Designers, stagers, remodelers and real estate agents can join the program for free — all that’s needed is verification that you are an industry professional. According to Hausman, 1.5 million professionals are currently part of the Houzz Marketplace community.